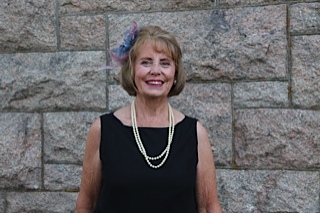 Obituary for Kathleen Hawman Saccone | Cyril F. Mullins Funeral Home Inc.
Kathleen Elizabeth Hawman Saccone entered into eternal rest on April 8, 2019. She was predeceased by her parents Charles and Alice (Sunderland) Hawman of Bridgeport, CT. Kathleen was a devoted mother to Kurt R. Saccone and Kristine K. Saccone, and the wife of Ralph V. Saccone. She is also survived by her grandchildren Alexandra, Christopher and Katherine, and her brother Ken Hawman. She will be missed by her beloved extended family in New Jersey consisting of many cherished cousins. Kathleen graduated from Bassick High School and continued her education at University of Bridgeport, American Institute of Banking, Butler Business School and Sacred Heart University. Her career began at Avco Lycoming in Stratford as a Administrative Assistant in the engineering department. She then worked as a Customer Service Representative at formerly Colonial Bank of Trumbull, then advanced from a Trust Officer at the former Montaque & Company to a Partner and General Manager of Fiduciary Service Company of Southport for 31 years. Kathleen will be remembered by all for her caring and kindness to others. She and her husband enjoyed wintering in Florida for 16 years. Her days there were filled with activities, swimming, biking, fun with friends and neighbors, and spring training games in Tampa to watch the New York Yankees, her favorite team. She treasured all her dear friends in Florida. Friends and family are invited to attend her funeral services on Thursday at 9:15 a.m. at the Cyril F. Mullins Funeral Home, 399 White Plains Rd. Trumbull and at 10:00 a.m. at St. Stephen's Church, 6948 Main St. Trumbull. Interment in Lakeview Cemetery. Friends may call on Wednesday from 3- 7 pm.